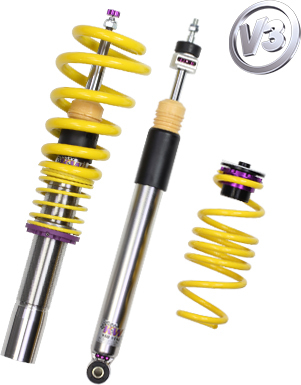 Enhance the performance of your suspension with a set of KW V3 Coilovers. 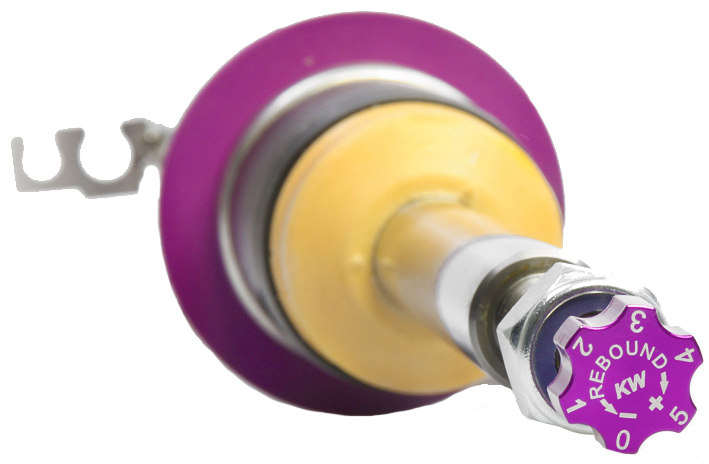 Please Note: Only for vehicles not equipped with air suspension and not for cars with electronic damping. 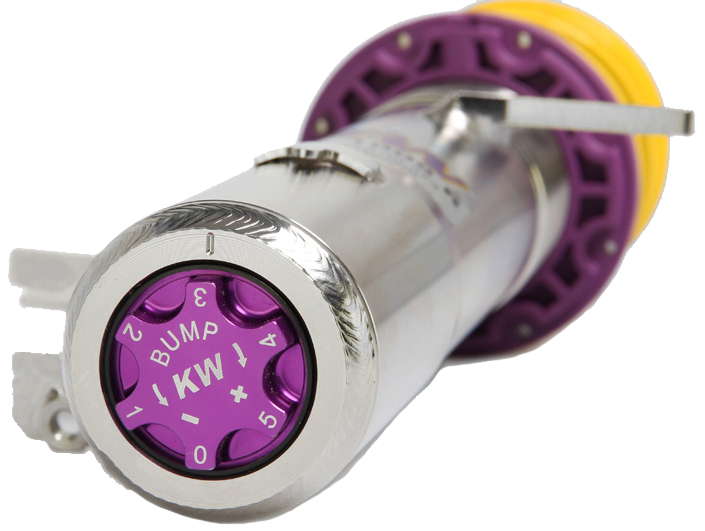 The KW V3 Coilovers feature all of the features of the V1 and V2 with the added benefit of adjustable compression rebound dampening for the experienced driver. 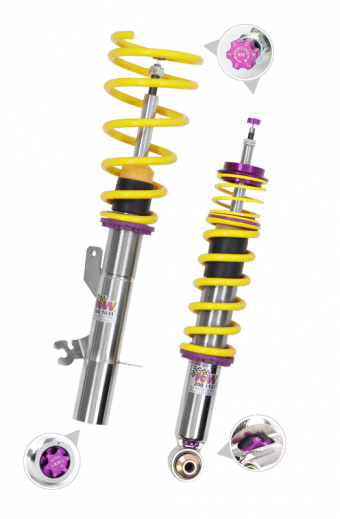 KW V3 Coilovers are specifically designed the experienced driver.